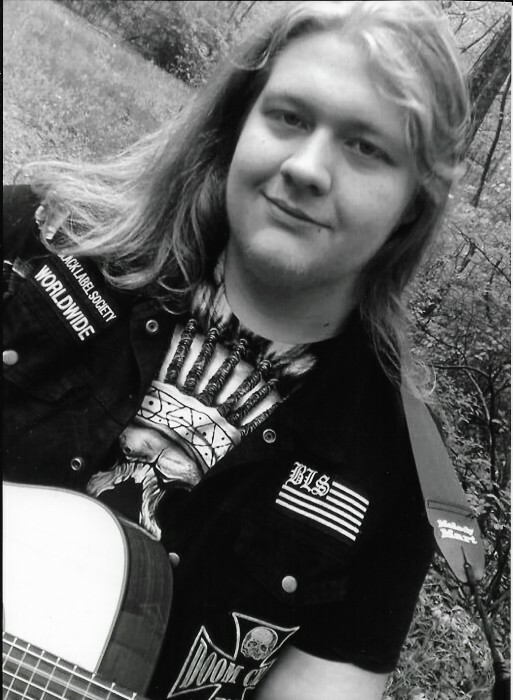 Gage Anthony Allen Rogers, 19, of Batesville, Indiana, passed away Saturday January 12, 2019 in Harrison, Ohio. He was born June 15, 1999 in Batesville, IN, son of Shannon Rogers and Amber (Caseltine) Rogers. He was a 2016 Graduate of Batesville High School. Gage played guitar and was in the Boxhead Monkey Band. He liked to write music and a few weeks ago he had his first solo show at Legends Bar & Venue in Cheviot, Ohio. He enjoyed camping and fishing, and especially time with family. Gage is survived by his parents, Shannon Rogers and Amber Rogers(Larry Tanksley), maternal grandparents, Beverly (Terry) Lacey of Aurora, IN; siblings, Zachary Rogers of Manchester, IN, Alec McAdams of Covington, KY; nieces, Brylee & Charlotte Rogers; many friends. Friends will be received Monday, January 21, 2019 from 4:00-7:00 pm at Rullman Hunger Funeral Home. Memorial Services will be held at 7:00 pm at the funeral home. Contributions may be made to the Honor Flight. If unable to attend services, please call the funeral home office at (812) 926-1450 and we will notify the family of your donation with a card.